A century-old law that caps the alcohol content of beer sold in Utah grocery and convenience stores — and often makes the state the target of jokes — could topple in 2019, if Utah adopts a bill coming before the Legislature. Under current Utah law, only 3.2 percent beer can be sold in retail stores. Beer with higher-alcohol levels must be sold in state-run liquor stores. Stevenson said his bill still would leave Utah near the bottom of states in terms of the permissible alcohol content in grocery store beer. But it also would be in line with the bulk of commercially produced brews. He noted Utah has already seen some products disappear from shelves as companies discontinue their low-content varieties, but he was unsure how his bill would be received by colleagues in the House and Senate. (Rick Egan | The Salt Lake Tribune) Sen. Jerry Stevenson talks at the Utah Capitol, Wednesday, July 18, 2018. The Responsible Beer Choice Coalition — a political action committee formed several months ago by small-business owners, grocery stores, convenience stores, beer distributors and brewers — has been pushing the state to boost the alcohol cap. New laws in other states are forcing the proposed change. 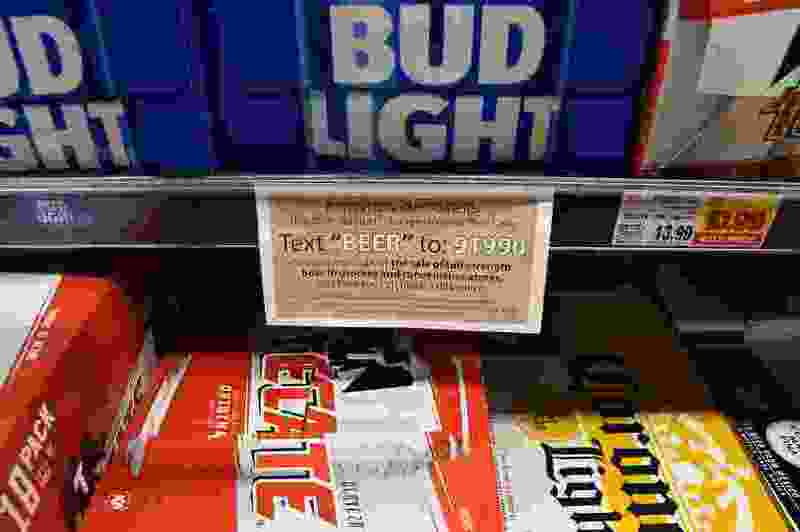 In 2018, Oklahoma and Colorado allowed higher-alcohol beer to be sold in grocery stores. Kansas is not far behind; it will allow full-strength beer in stores beginning April 1. The results are already being felt in Utah, says Kate Bradshaw, a lobbyist and director for the Responsible Beer Choice Coalition. More than a dozen major brands have pulled their six-pack configurations from the state. Consumers still can get 3.2 beer in larger 12- and 20-packs. Utah voters are evenly split on this issue, according to a new Salt Lake Tribune-Hinckley Institute of Politics poll. Convincing lawmakers — the overwhelming majority of whom are members of The Church of Jesus Christ of Latter-day Saints — to adjust the beer law may prove difficult. Latter-day Saints are taught to abstain from alcohol as part of their faith’s health code. More than two-thirds (69 percent) of respondents who identified themselves as “very active” Latter-day Saints oppose changing the 3.2 standard. But nearly six in 10 (58 percent) of “somewhat active” members would support such a shift as would 74 percent of “not active” members. Meanwhile, 62 percent of Republicans don’t want to change the law, which could pose a significant barrier on Utah’s GOP-dominated Capitol Hill. Most Democrats (79 percent) and unaffiliated voters (57 percent) favor higher-alcohol beer sales in retail outlets.